There's a low probability the U.S. will see a recession in 2019, but there's a lot of downside risk to the World Bank's estimate of moderately lower growth. While the World Bank thinks the chances of a recession this year in the United States are still small, the title of its January Global Economic Prospects Report, “Darkening Skies,” made plain its belief about where the global and U.S. economies are headed. Other experts are also expecting slightly lower growth in the United States. The Survey of Professional Forecasters predicts that real GDP growth will slow to 2.4% in 2019, and in December the Federal Reserve cut its estimate for GDP growth to 2.3%. 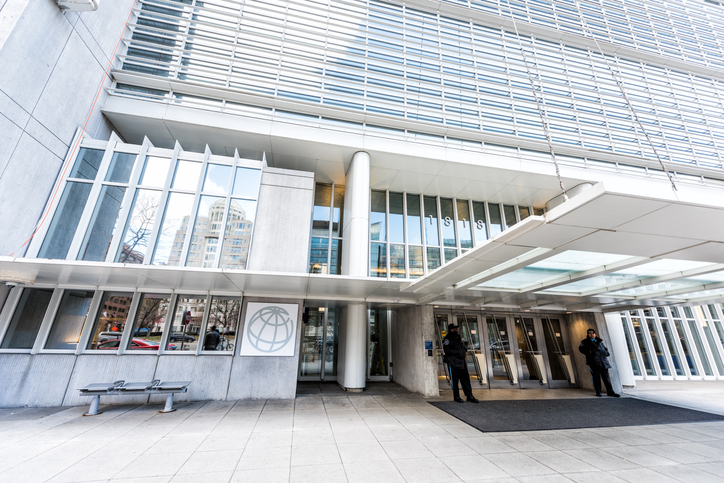 Global growth, the World Bank projected, would fall from a downwardly revised 3% in 2018 to 2.9% in 2019 and 2.8% in 2020-2021, as economic slack dissipates, monetary policy accommodation in advanced economies is removed, and global trade gradually slows. The gradual deceleration of global economic activity between now and 2021 could be even more severe than the above numbers imply, the World Bank said. Ongoing trade tensions involving major economies represent a significant downside risk. New tariffs introduced since the beginning of 2018 have affected about 12% of U.S. goods imports, 6.5% of China’s goods imports, and about 2.5% of global goods trade, according to the World Bank. If all tariffs currently under consideration were implemented, they would affect double that percentage of global trade flows, the bank estimated. 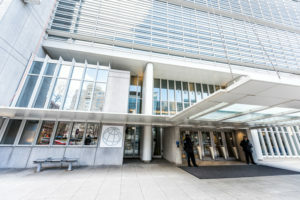 While some countries could benefit from trade diversion in the short run, rising trade protectionism and uncertainty over potential escalation of trade restrictions among advanced economies “is likely to weigh on firms’ willingness to invest, export, and engage in international value chains,” said the World Bank. Softening global trade (along with tighter financing conditions) could also exert downward pressure on emerging market and developing economies. EMDE growth is expected to “stall” at 4.2% in 2019 — 0.5 percentage point below the bank’s previous forecast. That adjustment partly reflects the lingering effects of recent financial stress in large economies like Argentina and Turkey, the World Bank said. “Government and/or private sector debt has also risen in a majority of EMDEs over the last few years … reducing the fiscal room to respond to shocks,” the report said. In China, a major contributor to global growth, the domestic economy is expected to slow modestly, to 6.2% this year, slightly below previous projections. The World Bank said a “rebound in private fixed investment helped offset a decline in public infrastructure and other state spending” in China in 2018, but that industrial production and export growth have decelerated, reflecting easing global manufacturing activity. Fortunately, the World Bank said, China’s domestic demand would remain strong in 2019, “aided by policies to boost consumption.” Supportive fiscal and monetary policies are expected to “largely offset” the negative impact of higher tariffs. What set of circumstances would substantially derail the global economy in 2019? Markedly weaker-than-expected activity in the world’s two largest economies, which could have a severe impact on global economic prospects, the World Bank said. “A simultaneous occurrence of a severe U.S. downturn and a sharper-than-expected deceleration in China would significantly increase the probability of an abrupt global slowdown and thus negatively impact the outlook of [EMDEs] through trade, financial, and commodity market channels,” the report stated. Not if it up to the central bankers, that stand ready to assist the financial markets, if and when needed.